The connection between man and his environment has been signified in a variety of ways. 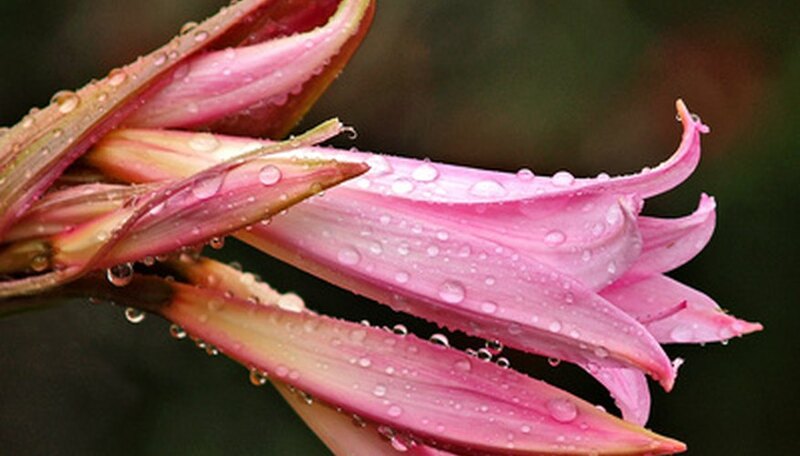 We have placed significance on many of nature's elements--lightning, rain, color and even individual plants and flowers. Lilies are a great example of this phenomenon. Lilies represent virtue, prosperity and a variety of other human traits based on color and humanity's history with the plant. Asiatic lilies can grow anywhere from 2 to 6 feet in height and are grown in an assortment of colors. They are some of the most popular lilies available and are valued for their large, bell-shaped flowers. These hybrids have medium-sized flowers that face outward and are most often unscented. Asiatic lilies are a popular flower grown and harvested throughout the world. They are originally native to Asia and Europe but are cultivated today across the globe. According to the United States Department of Agriculture, Asiatic lilies grow well in zones 4 through 9. Asiatic lilies come in a blend of colors ranging from white, yellow, orange, pink to red. White typically symbolizes peace, innocence, marriage and purity throughout both the Eastern and Western civilizations. As a whole, warm colors, such as red, orange and yellow, represent energy, creativity, drive and passion of the human spirit. Individually, each color denotes its own variety of human traits. The color red signifies passion, blood, war, intensity, strength and excitement. Large quantities of red-colored light is said to stimulate the metabolism and heart rate physically throughout the human body. Orange and yellow represent happiness, optimism, imagination and hope, while pink is said to symbolize long-lasting love, healing and romance. Lilies have had a role in ancient mythology as far back as the 1500s B.C. Images have been discovered throughout ancient Greece and throughout Asia. The Greeks believed that the lily flower sprouted from the milk of the goddess Hera and represented both chastity and virtue. They are a symbol throughout Christian mythology of the Virgin Mary's purity and denote humility and the innocence restored after death. Most varieties of lilies are toxic to cats. Organizations such as the Animal Poison Control Center have led numerous campaigns to inform owners of the dangers of the flower to their pets. Consequences of feline ingestion can range from vomiting, lethargy, and even death.